meringue, that I had to share it with you! Posted by Constable & Robinson • Published 8th August 2013 • See Constable & Robinson's 7 projects » © 2019 Jo Wheatley / Constable & Robinson · Reproduced with permission. · Taken from HOME BAKING by Jo Wheatley published by Constable in hardback and available exclusively from Sainsburys, at the introductory price of £8. Preheat the oven at 100ºC/200ºF/Gas Mark 1/2. high and rounding off the edges with a spatula. 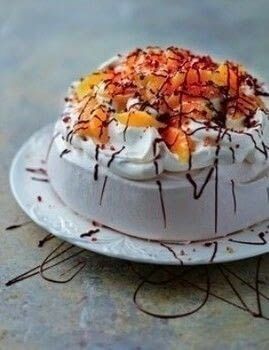 leave the meringue inside to cool. soft peaks. Peel and segment the oranges.